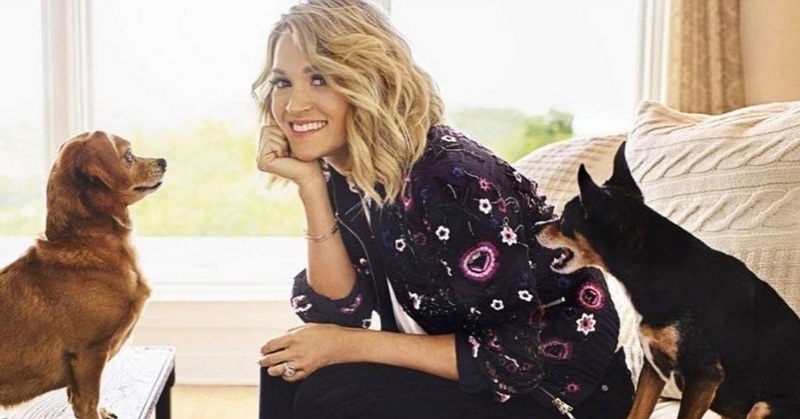 Carrie Underwood's Dogs might just might be the luckiest rescue dogs on this planet. Carrie Underwood’s Dogs are adorable! Carrie is a big fan of adopting rescue dogs and providing a good forever home to dogs in need. Both of her pups Penny and Ace were rescue dogs. The cute pups go on tour and get a fair amount of their own social media attention. Ace and Penny have played prominent roles in Carrie’s life. 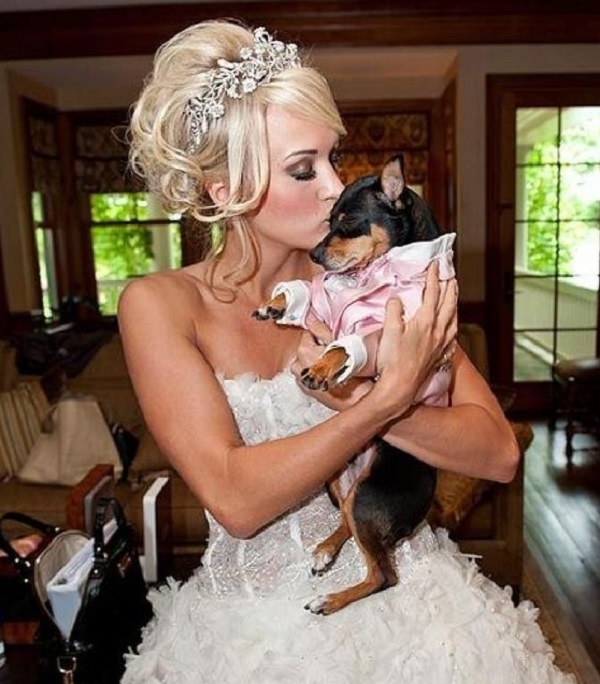 Ace even enjoyed being the official ring bearer at Carrie’s wedding to Mike Fisher. Both dogs also helped announce her pregnancy with Baby Isaiah by sporting “I’m going to be a big brother” and “I’m going to be a big sister” shirts on Twitter and Instagram. Enjoy the highlights of Penny and Ace below. Penny Jean is a Dachshund mix and displays an amusing range of facial expressions. Ace is a power napper and appears to be a Rat Terrier and Chihuahua mix. Penny apparently loves to steal food from Isaiah. Here Penny gets busted for stealing some French Toast. Isiah does not seem to mind and has become best buds with Penny. Penny Jean is a major foodie….at least she gets major exercise doing this…. Breakfast with Penny. She does this every morning! Carrie clearly loves her pups! The Oklahoma singer completed special water-based physical therapy for Ace when he suffered paralysis after a herniated disk. Penny even helps serve as a fashion model for Carrie’s clothing line. Of course, fellow Country singer Miranda Lambert is a major dog fan and appears to know how to help spoil Carrie’s pups. Both dogs show how to strike a pose for “National Dog Day”. Penny is a major “Ham” for the camera. At times, it is a little difficult to get some privacy. Showing some love and cuddle time with Penny Jean . . .
Penny Jean makes a great official greeter when coming off stage on tour. #FBF to the @ALMAY shoot with one of my favorite co-stars, Ace! Penny knows how to rock Halloween. Penny Jean knows what “lazy day” is all about. Both dogs are veteran travelers hitting major cities for Carrie’s tours…. Carrie likes to volunteer at shelters and it is a wonder that she does not have an entire pack of dogs . . .
Penny Jean even provides a personal bath service. . . Among her other talents, she's also a personal bather…and she'll work around your schedule. Penny Jean also likes to pop some bubbles . . .
Penny Jean likes to cuddle with hubby Mike Fisher . . . This waits for me at home! My little furry loves! I wasn't there for their birthday yesterday! Dunno when their real birthday is, but they were both born in the spring…so I assigned it March 15! Happy birthday kids! Remember to “share” this with other dog lovers!